There was very annoying when we want to download movies or games that owner set the download link with the adf.ly. 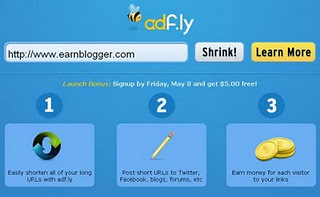 Adf.ly was used to embed with the download link to earn money. But this adf.ly extension make our download process so slow and delay. This is one of my solution how to remove adf.ly link. To bypass/hack Adf.ly, you need to have Firefox browser with Greasemonkey installed. You can install Greasemonkeyfirefox addon, if you haven't installed yet. 1. Go to Adf.ly Hacker script page to bypass Adf.ly advertisements. 2. Hit on Install and confirm the script installation in your Greasemonkey. 3. Now, whenever you'll click on any Adf.ly shortened link(eg: http://adf.ly/DuLN) , you won't see any timer or counter of 5 seconds. The actual intended page will appear. Finish..that all.Thank you for reading.